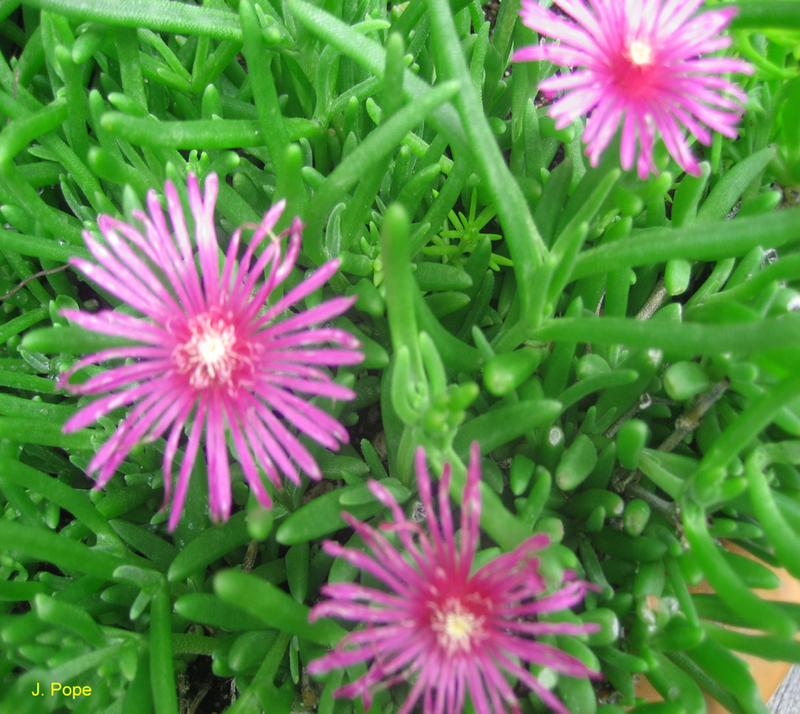 Comments: The ice plant grows well on coastal dunes and produces creeping stems that form a mat of foliage over time with bright pinkish-purple or yellow flowers during late winter and spring. Flowers that contain many stamens open in the morning and close at night. The fruit in the shape of a spinning top is edible. This is an excellent ground cover plant for water-wise gardens like rock gardens.